Fundamentals I starts from the beginning. 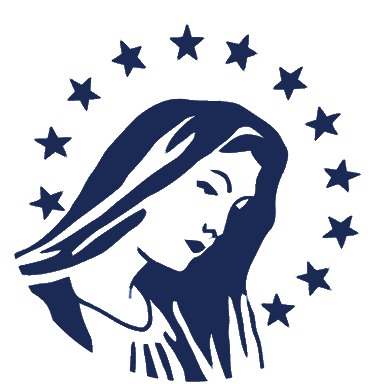 It covers much of the same material that was covered in Beginning Latin II but with more explanation and a focus on understanding the rules and principles of language. It begins with the general principles, as the students are taught the parts of speech, the breakdown of the sentence into subject and predicate, and the kinds of nouns and verbs. Then they are introduced to the idea of an inflected language, the three moods of a verb, and the stem and basic endings of Latin verbs. The complete and incomplete verb systems are taught in English. Then the course moves into teaching the Latin verb tenses and the cases of the noun. Once again, these concepts are taught in greater detail and with more attention to analyzing and understanding the rules governing Latin. This is done primarily through translation. The lesson begins with basic drills, moves to analytic exercises and translating short phrases, and culminates with complex translations. The student uses his step-by-step method to translate these sentences, but he is not given the same level of aid as in the Beginning Latin series. Students at this stage are generally ready to hold more steps in their head. For students who need more aid, translation exercises are included in the back of the book. These exercises take the same sentences that the students are given in the lesson (so no extra work), but break them down into steps in the same way that they are presented in Beginning Latin II. By the end of the course, the students have mastered multiple uses of all the noun cases; gender rules and i-stem rules for third declension nouns; present, past, future, and future possible conjugations; and words from every part of speech. They have also been introduced to adjectives, first and second declension nouns, imperative and subjunctive mood in Latin, and word order in Latin. Fundamentals I has three "Culture Studies" lessons, where the students learn fun information about how the Romans would have named the days of the year, calculated money, and named the parts of their houses. This information, besides being enjoyable, are useful for the Roman history sections the National Latin Exam. The Fundamentals series also has a Supplemental English Grammar workbook and a Grammar Companion. The Supplemental English Grammar workbook has worksheets on basic English grammar. It is for students who want to make their Fundamentals course work as a English Grammar course as well. The Grammar Companion is a compilation of all the information in Fundamentals I and II organized by concept. It is meant to be used for reference, much like the Henle Grammar book. 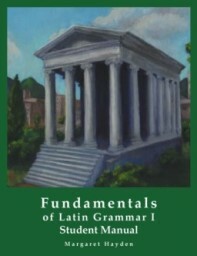 For more information, please see books.modg.org: Fundamentals of Latin Grammar 1.